Donated to City of Winnipeg Archives, Accession 2005 A013. Photograph shows woman (either Elsie ? or Mabel ?) 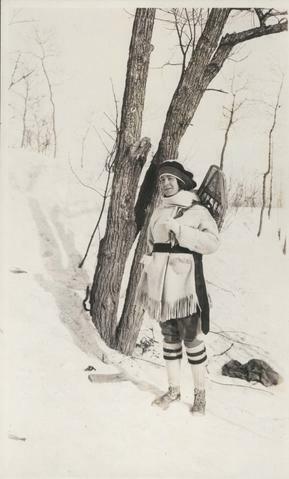 carrying snowshoes on her back, one of three photos mounted on page with caption "Elsie and Mabel - 1923."